Your exclusive club card for the sound museum! 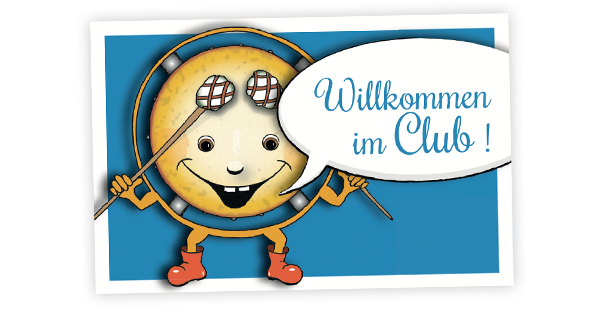 Pauki Knaller and the Haus der Musik are delighted to welcome you to the HdM Kids’ Club – a year-long voyage of discovery into the world of music! As a Club Card Holder you only pay half for any visit to the Haus der Musik. entertainment every month with exciting concerts specially for kids! For your visit to the museum and at home, with many tricky tasks and thrilling games! daily from 10 am to 10 pm. The club ticket costs just 5 euros for 1 year! Your colourful companion to the musical voyage of discovery in the Haus der Musik! 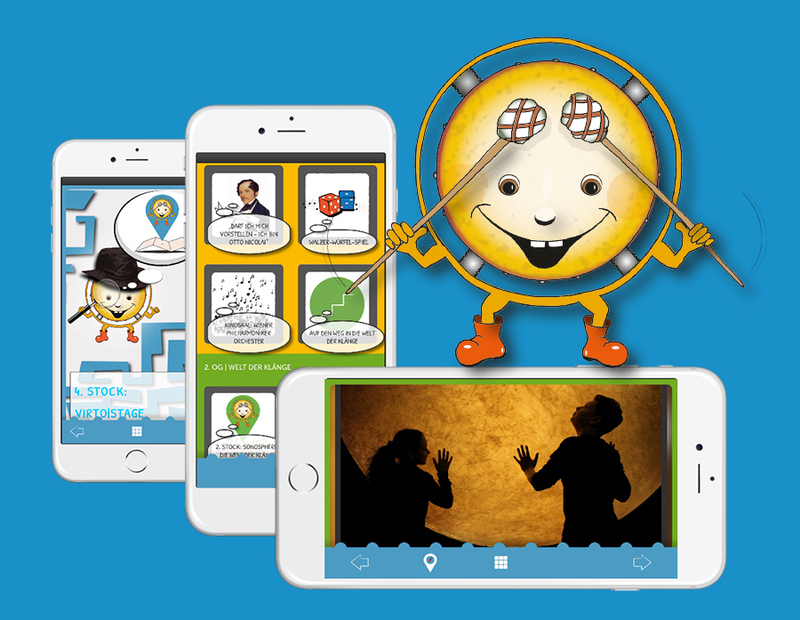 The Pauki Knaller booklet is filled with terrific puzzles, games and facts on the great composers. What’s more, you can find instructions for handicrafts and fun games to play at home. Free for HdM Kids’ Club members. Pauki Knaller also welcomes our young visitors with a special tour for kids on the HdM guide. Together with Pauki Knaller, kids can discover the sound museum with all its facets, learning fascinating stories about the great composers. 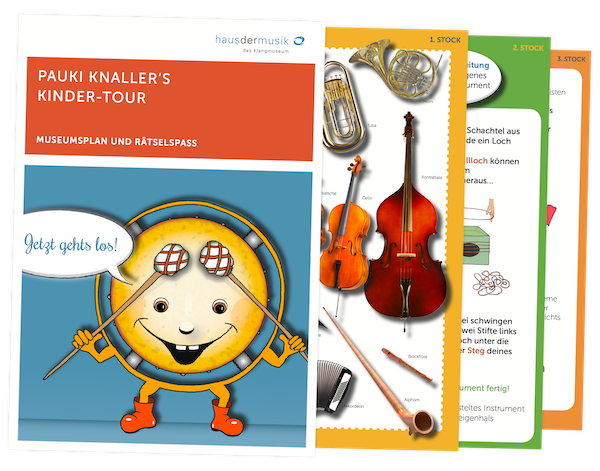 Pauki Knallers’ Kids’ Tour is available in German and English. Get the multimedia HdM-Guide as an app at the App Store or the Google Play Store for the best from your tour!